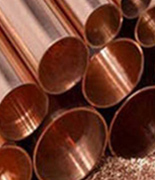 Cupro Nickel Seamless Tubes, Cu-Ni Tubes, Copper Nickel Tubing, Cu-Ni Seamless Tubes, ASME SB466 Cupro Nickel Tube Suppliers and Exporters in Mumbai, India. ASTM B552 Cu-Ni Tubes, Cupro Nickel Tubing, Welded Tube Exporter, Suppliers of ASTM B466 Cupro Nickel Seamless Tubes Manufacturer in India. Ganpat Industrial Corporation offers Copper Nickel Tubes, which is manufactured by our skilled workmen who abide by factory mandatory requirements of all the customers. 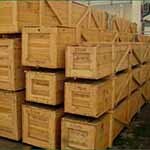 Cu-Ni Tubes are an alloy of copper, nickel and strengthening elements such as iron and manganese. 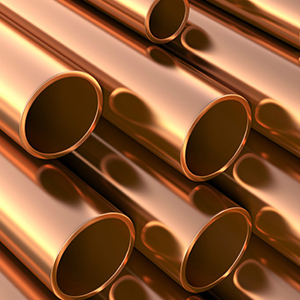 Cupro Nickel Seamless Tubes is a copper – based alloy developed as a cost – effective substitute for Cu Ni Tubes. 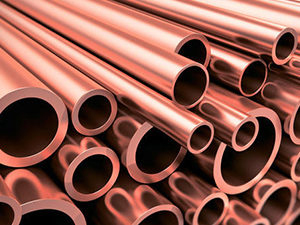 Copper Nickel Welded Tubes is often used in Hydraulic lines, Fish cages for aquaculture, Heat exchangers and condensers, Desalination units, Sea water Tubework, Tubes for power plants and ships, Offshore fire water systems, etc. Meanwhile, Cu-Ni EFW Tubes are also being offered in different sizes and shapes to our customers. Ganpat Industrial Corporation is a known manufacturer and exporter of Cupro Nickel ERW Tubes, which is also available in customized sizes and shapes for our clients. 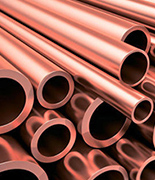 A range of Copper Nickel Round Tubes exists that possesses varied properties and thus are used in different applications. The information of Cu-Ni Square Tubes presented here is given as a guide, for reference purposes only and should not be used as technical / design specifications. The company has experience in these areas and is able to supply Cupro Nickel Rectangular Tubes in accordance with most international standards and special customer requirements. 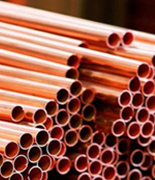 Copper Nickel Welded Tubes, Copper Nickel Seamless Tubes, Cu-Ni Tubing, ASME SB552 Welded Cu-Ni Tubes, Cu – Ni Tube, Cupro Nickel Welded Tubing Manufacturer in India. 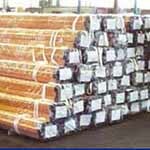 Cupro Nickel Seamless Tube may be furnished bare or coated and with capped ends. tubes up to 3” OD will be supplied in bundles. In order to prevent rust during sea shipment, bundles of Copper Nickel Seamless Tube may be wrapped with polypropylene sheets, and secured with flat steel bands. Over 3” OD will be supplied loose. Bangkok, Rajkot, Algiers, Ludhiana, Doha, Nagpur, Haryana, Ahvaz, Gimhae-si, Geoje-si, Santiago, Ho Chi Minh City, Los Angeles, Navi Mumbai, Karachi, Chandigarh, Al Jubail, Brisbane, Coimbatore, Hanoi, Montreal, Jamshedpur, Courbevoie, La Victoria, Madrid, Abu Dhabi, Dallas, Chiyoda, Kuwait City, Cairo, Jakarta, Indore, Mumbai, Tehran, Visakhapatnam, Surat, London, Calgary, Dammam, Melbourne, Atyrau, New Delhi, Vung Tau, Rio de Janeiro, Toronto, Muscat, Pune, Howrah, Chennai, Ankara, Perth, Lagos, Gurgaon, Hyderabad, Kanpur, Lahore, Moscow, Kuala Lumpur, Kolkata, Mexico City, Granada, Petaling Jaya, Vadodara, Ranchi, Nashik, New York, Secunderabad, Colombo, Hong Kong, Dubai, Baroda, Ulsan, Sharjah, Edmonton, Busan, Jeddah, Aberdeen, Faridabad, Thane, Bengaluru, Istanbul, Al Khobar, Pimpri-Chinchwad, Noida, Ahmedabad, Jaipur, Bogota, Riyadh, Manama, Ernakulam, Singapore, Sydney, Port-of-Spain, Thiruvananthapuram, Seoul, Milan, Caracas, Bhopal, Houston. Bangladesh, Morocco, Azerbaijan, Iraq, Brazil, Pakistan, Nepal, Chile, Ecuador, Greece, Saudi Arabia, Egypt, Norway, India, Zimbabwe, Germany, Sweden, United Kingdom, Qatar, Angola, Italy, Gambia, Vietnam, Yemen, Turkey, Costa Rica, Kuwait, Israel, Poland, Puerto Rico, Croatia, Philippines, Estonia, Nigeria, Thailand, Argentina, Trinidad & Tobago,Tunisia, Netherlands, China, Lithuania, Iran, Belgium, United Arab Emirates, Poland, Mexico, Afghanistan, Bahrain, Canada, Spain, Romania, Slovakia, Portugal, South Korea, Belarus, New Zealand, Mongolia, Hungary, Chile, Indonesia, Australia, Serbia, Nigeria, Singapore, Malaysia, France, Gabon, Ukraine, Denmark, Peru, South Africa, Tibet, Kenya, Colombia, Sri Lanka, Taiwan, Switzerland, Jordan, Mexico, Japan, Bulgaria, Bolivia, Russia, Kazakhstan, Iran, Macau, Namibia, Libya, Ghana, Algeria, Austria, Lebanon, Venezuela, Bhutan, United States, Hong Kong, Finland, Czech Republic, Ireland, Oman.